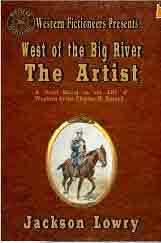 Posted by bobv451 in business, e-books, Free, ideas, VIPub, westerns, Wild West, writing. Nothing is certain but change. That’s the way of life, but not necessarily so in series. If you intend to do a limited series, say a trilogy, your protagonist can have a character arc where all kinds of flaws are corrected or augmented by the end of the series. The protagonist usually grows as a person and responds to the vicissitudes of the plot thrown at him/her. This makes for a satisfying conclusion but presents a problem if the series stretches to more titles. Readers get invested in the character. Watching one grow and change is fine if the series ends in a predetermined number of titles. If the series has multiple entries, this isn’t such a good idea. A reader coming into the series after 5 or 6 titles (or 50 or 60) can fall in love with that character, go back to read earlier titles and find the character doesn’t measure up. End of interest. Ebooks have the advantage of always being in print so a reader can scrounge up the first book and ride the wave through all the titles and enjoy the character development. But in a print series, this isn’t an easy thing. Print books go OP (out of print) in a few weeks. Some many-authored long-running series like the Jake Logan books insist that the main character (in this case, John Slocum) never change from the traits listed in the series bible. Authors don’t have to deal with changes or details a book or a hundred books earlier. But what’s an author to do with a static protagonist? The answer comes in the secondary characters. They can change (or even die). The protagonist carries the plot and everyone around can learn and grow or devolve. End of book, satisfying character changes, but not in the protagonist who moves on, as is, to begin a new adventure. 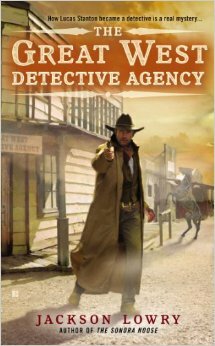 I am trying something a bit different in a western series starting in October. The protagonist in The Great West Detective Agency is a gambler and something of a wastrel whose liking for the ladies always gets him in trouble. It’s a print series so Lucas Stanton’s not going to change much, but I hit upon the idea of publishing short stories using secondary characters to augment the plot. What are the histories behind the characters in the book? The dance hall girl or the bartender? The sidekick or the femme fatale? The curious “source of all information” or the hellfire and brimstone preacher or the sweet young thing who entices Stanton into a new mystery? This volume (the first will be called 4 Lives) will be an ebook and maybe PoD. But it gives a chance for the behind the scenes look at the characters and how they got to where they are in the book, leaving the protagonist free to push the plot. If you want a free copy of 4 Lives when it is ready in a month or so to see what I’m doing, drop me a line via my website at http://www.cenotaphroad.com and mention it. Be sure to tell me what your preferred format is. Posted by bobv451 in business, ideas, sense of wonder, serial fiction, Wild West, writing. There can’t be any character development in the main character. That puts a damper on a lot of things, but it shouldn’t be a killer for a series. I’ve done more than 125 titles in a series I’m not at liberty to name, but I can recommend a new book or two (ahem). The series bible is set up so that independent authors can write without needing to read every other title to keep details straight. With the one/month publication schedule such attention to details (or changes to the canon) by other writers would be impossible, especially if there are a half dozen in the pipeline. So, no mention is ever made of any other book in the series and only what is in the bible counts as canon. This isn’t as onerous as it seems. The main character might end the book the same as when he started, but there are a lot of other possibilities. In spite of what the reviewer (who didn’t seem to have read the book rather than getting it as a gift) said, the plots are where the fun can come in. I haven’t duplicated a situation in all the books I’ve done, though some of my favorite settings have been reused in different ways. My very first title was set in San Francisco amid a tong war. A “giant” had to do with returning bones for burial to China and most recently among the published books I used the same setting for a prison break (or unbreak, actually). What might well be the last of my titles has to do with a huge silver theft from a San Francisco-based railroad. More than different plots and locales to explore and history to unveil, the other characters can get story arcs where they change motivation and alliances/allegiances. They can grow or devolve. After all, only the protagonist has to emerge unscathed emotionally and with his motivations the same at the end as when he started (so the next author doesn’t have to explain why the hero suddenly likes to drown puppies or no longer drinks trade whiskey). This unchanging main character worked in other series books I’ve done. I ghosted an Executioner book and only had a short time to pick up details on the series (only a few additions rather than changes from ones I had read years earlier). But what you get out of these series are nonstop action, great supporting characters and the feeling you’re one of the gang taking part since you know the protagonist so well. I also did a title in the ’70’s Baroness series that never saw the light of day. But I love the feel of those old series and started something similar with new characters, as much at the behest of others in the yahoo Baroness group as because they are fun to write. I did this one almost 3 years ago and the Navy is just now getting around to deploying some of the gadgets mentioned. Love the techno speculation! One of these days I’ll get back to these characters, so it won’t merely be the first in the series.